Anthony was born in Des Moines, Iowa, to John and Josephine Baratta. He attended both grammar school and high school in Des Moines, Iowa. Anthony received an Associates Degree in Business Administration from Miami-Dade and a Bachelor’s of Arts Degree in Journalism from Drake University. He was director of Operations for 13 years at Baskin Clothing Co., and has served as a Cook County Sheriff for 18 years with a current rank of Sergeant. Anthony was a founding member of The Order Sons of Italy in America’s Law Enforcement Lodge #1, and was elected treasurer in 1994. In 1999 he became a Trustee of the Grand Lodge of Illinois, and in 2003, he was elected President of the Grand Lodge of Illinois, a position he held until June 2007. He currently serves as President of the Order Sons of Italy Foundation, the charitable arm of OSIA. As President of the Illinois Grand Lodge, Anthony oversaw the Grand Lodge’s annual Columbus Day Scholarship and Humanitarian Banquet as well as the Leonardo ad Vinci Awards of Excellence Gala. In addition to those he led the City of Chicago’s Columbus Day wreath-laying ceremony. The Order Sons of Italy in America recently elected Anthony as National President of the Commission for Social Justice, the anti-defamation arm of OSIA. anemia Foundation, National Alzheimer’s Association, and Coaches vs. Cancer, Missionary Sisters of St. Charles Borromeo, Bartlett Learning Center, Ataxia Foundation, Cook County Veterans Assistance Commission, Downed Police Officers Memorial, Kids Fight Cancer and Catholic Charities. 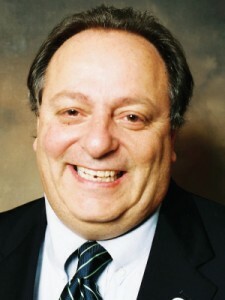 Anthony is also a proud member of the Italian American Executives of Transportation.